Where are your favourite venues? You must know the Swale like the back of your hand? I started fishing on the River Swale in 1997. I have very limited experience on other rivers, but I know about four miles of the Swale quite well. The rest is a mystery! Do you ever fish on still waters or commercials? I tried fishing for tench in a totally wild small gravel pit on the banks of the Swale with limited success. They prefer feeding at dawn, a time of day totally alien to me. Being retired I venture forth when the sun is higher in the sky. What made you start recording your sessions and uploading them to YouTube? I bought the video camera to take to the Far East on holiday. Still photos, whilst interesting, lack the extra dimensions of movement and sound. I thought it would be better to get the hang of this thing before I went and taking it on my fishing trips fitted the bill. Talking to an inanimate object on my own was much more difficult than I thought as you can tell from earlier videos. 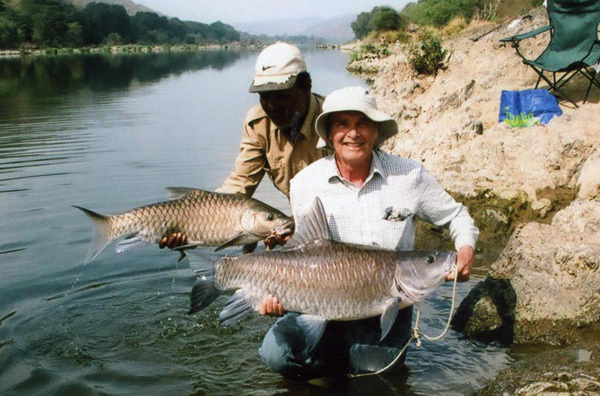 There are many excellent videos on fishing but few show that moment when the fish takes the bait, especially barbel.. To get that the camera must be recording for the whole session, usually several hours, and needs a big memory and lots of battery power. 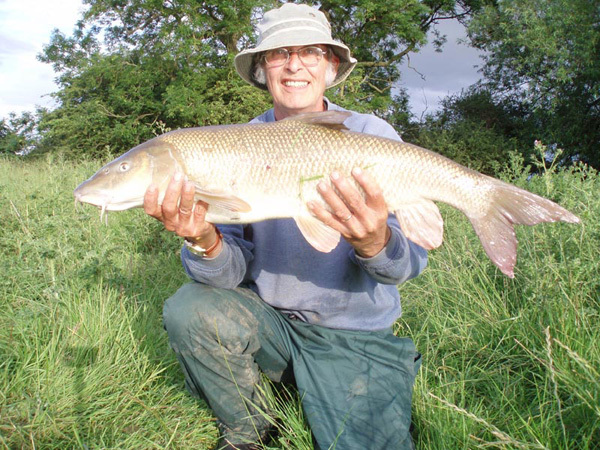 Having captured a good ‘wrap round’ I though other barbel fishermen might be interested. You get some really great feedback on your videos, did you think that would happen when you started uploading them? I am staggered by the response and the kind words on both the river bank and on the web. I love watching your videos when the barbel scream off. How would you describe that to someone who knows nothing about fishing? I had been a fly fisherman but in 2007 continuous floods had decimated the start of the season. I mentioned this in my local tackle shop and the assistant suggested I try barbel fishing as they like flood conditions. I looked into it. Coarse fishing was a completely new world with a vocabulary of its own and catalogues of gear I’d never heard of let alone knowing what it was for. I bought a couple of dirt cheap rods and fixed-spool reels and with half a dozen feeders set off for the nearest bit of river to practice out of sight. Having lost four of these feeders in the willows opposite inside the first half hour I eventually had half a handle on it. Feeling a little more confident it was time to try it ‘for real’. I went to a day-ticket water, found a peg (a new word to me. I had to ask an angler what it was) miles away from the ‘main drag’ and probable embarrassment, and lobbed these feeders in anywhere. I hadn’t even bought a seat, such was the temporary nature of this venture. I was standing admiring the complete change in the river scenery from the upper dale’s rivers when suddenly, without any warning, the bottom rod leapt out of the rest and shot off downstream as if it had become attached to a passing car. I couldn’t believe what I had just witnessed and shot off after it, ploughing through nettles and balsam. Being a big rod with a small reel it floated and came to a standstill midstream after fifty yards. It was still there when I arrived back with the second rod, gasping for breath, a few moments later and re covered it. A 2lb wild brown trout or grayling, or catching the first fish on a fly you had tied yourself, had been the ultimate buzz on the Ure but this was in another league and could be done in all weathers and for nine months of the year. I was in. 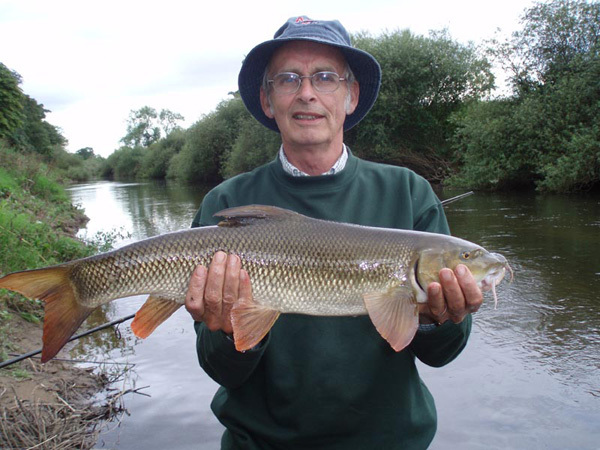 I watched the Swale barbel fishing videos last year and want to re watch them to plan some trips for this year. I just get a ‘Video Unavailable’ message. Have they been taken off?